The USS Spruance and USS Preble sailed within 12 nautical miles of the Spratly Islands as part of what the US Navy calls a "freedom of navigation operation." "All operations are designed in accordance with international law and demonstrate that the United States will fly, sail and operate wherever international law allows," Doss said, adding "This is true in South China Sea and other places around the globe." 2 nautical miles of the Paracel Islands. 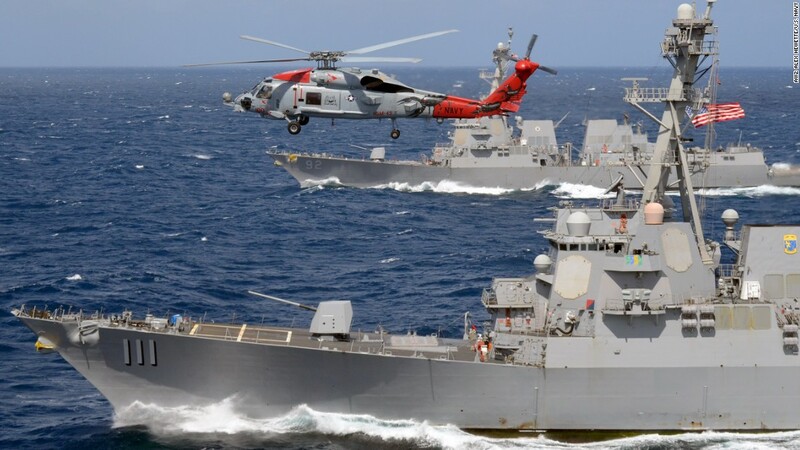 Shortly after that operation, China accused the US of trespassing in its territorial waters – and said it had deployed missiles "capable of targeting medium and large ships. " " The US action has violated Chinese law and international laws, violated China's sovereignty, damaged regional peace, security, and order, "said Foreign Ministry spokesman Lu Kang at the time. "China will take necessary action to protect state sovereignty." 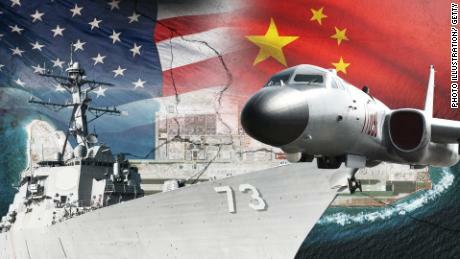 "There has been a steady rise," Adm. John Richardson, the US Chief of Naval Operations, told reporters earlier this month, when asked about China's militarization of the area.